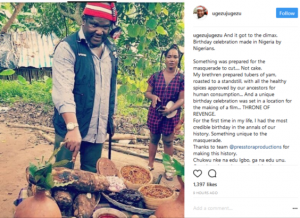 Nollywood director, Ugezu J. Ugezu perhaps in a trailblazing move decided to neglect the traditional cake and cut yam instead for his birthday. 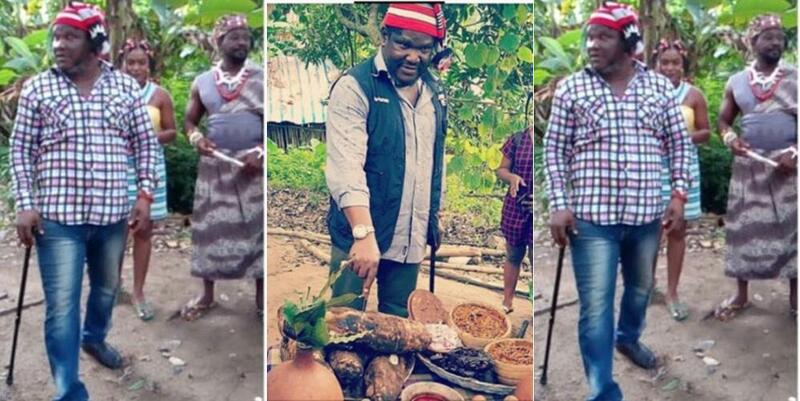 The director, who is currently on set with his crew for the making of the movie ‘THRONE OF REVENGE’, while celebrating his birthday with yam disclosed that that was the first time in his life, he had the most credible birthday. “And it got to the climax. Birthday celebration made in Nigeria by Nigerians. Something was prepared for the masquerade to cut…. Not cake. 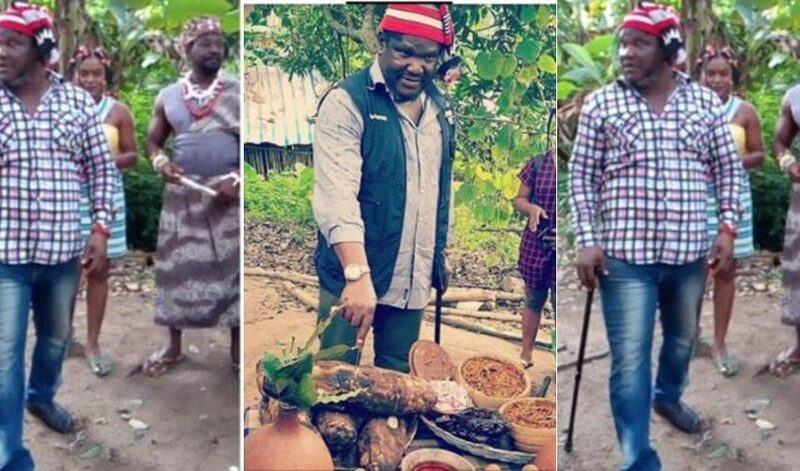 My brethren prepared tubers of yam, roasted to a standstill, with all the healthy spices approved by our ancestors for human consumption… And a unique birthday celebration was set in a location for the making of a film… THRONE OF REVENGE. For the first time in my life, I had the most credible birthday in the annals of our history. Something unique to the masquerade. Thanks to team @presstoraproductions for making this history. Chukwu nke na edu Igbo, ga na edu unu. Once it registers in your head, implement via physical actions….hallmark of all inventions. I capitalize on the rendered premise to extend an unqualified appreciation to all friends and professional colleagues that celebrated me today. I feel humbled again. Thanks to all of you as success is already queuing to meet you urgently. A NEW NIGERIA BECKONS as UGEZU J. UGEZU goes for the pilot seat… PRESIDENT OF NIGERIA 2019. NIGERIA HAS NOT GONE BEYOND REDEMPTION. WE CAN STILL SALVAGE THIS COUNTRY.